In our Hypnobabies Childbirth Hypnosis course, our students are in love with the Big Secrets! This is important information that remains mostly undisclosed when many expectant parents communicate with their medical caregivers. Since we advocate becoming as educated as possible about pregnancy and birthing choices, it is important for our Hypnobabies students to understand their rights. All expectant parents should learn this important information early in their pregnancy, to make certain that all decisions remain fully in their control. Secret #1: Did you know that in any situation that arises regarding your pregnancy, birthing, and with your baby’s care, you are always in charge? You (two) as the parent(s) are responsible for making the all-important decisions that will affect your health and that of your baby, your labor, and after-birth procedures. It is important for you to know that no one can ever force you to do anything you feel uncomfortable with, no matter what the circumstances are. You as the consumer make all of the decisions, not the doctors and nurses. You actually tell them how you will give birth, since they are working for you. 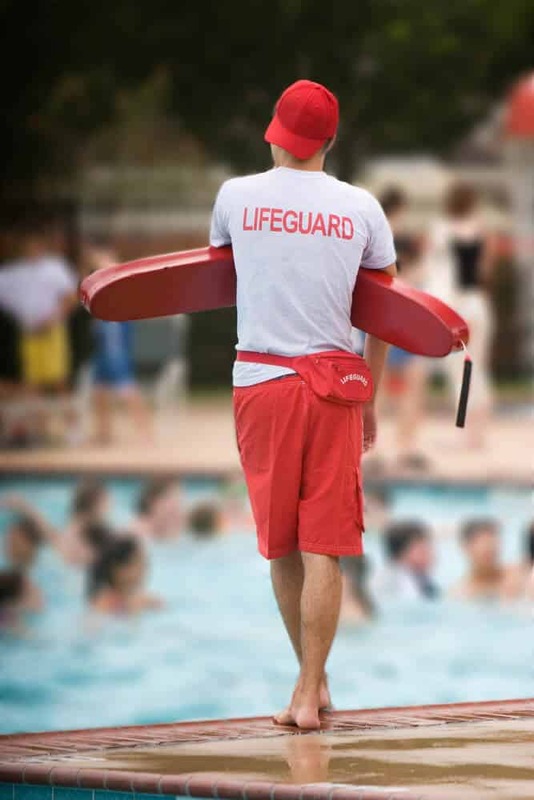 They are the “lifeguards” who stand by in case anything should happen outside of the realm of normal, and they will let you know if that is the case. They need not interfere in a normal birthing (no complications) to enforce standard procedures or routine interventions. Lifeguards at a pool or beach are there to make certain that normal swimming and pool play remains safe. As long as it does, there is no reason to force a particular style of swimming or watersports on the participants they are watching. If anything needs their attention, the lifeguard can step in and address the situation with appropriate expertise. This is the role that physicians, nurse and midwives hold as well, when women are giving birth. Changing what is already working well in childbirth would be like a beach lifeguard making everyone get out of the water because there were jellyfish in the water once several years ago – just in case. You want your carpets cleaned and you call Joe Carpet Cleaner to do the job because (a) he is the only carpet cleaner in town, (b) he has 20 years’ experience, or (c) he was first in the directory. As you are talking, you tell him exactly which rooms and area rugs you want cleaned and that you want the furniture moved to do it. He says, “Well, I know it is your house, but … I’ll clean your carpets my way, and only 3 of the 5 rooms you wanted cleaned, no area rugs will be done, I have to charge you for doing the stairs too, even if you don’t have any, no furniture will be moved, and I want $2,000 as payment.” Would you say, “Well … okay, Joe, whatever you say—you’re the expert in carpets”? Or would you maybe say something not quite so nice? Would you ever allow someone to charge you money for a service you didn’t want, and direct it entirely to boot? Childbirth is so much more important than our carpets, yet when we fail to realize that we are consumers who can call all the shots, the parents of the baby being born and also people whose desires need to be respected, we can feel helpless … and you are very powerful. Birthing couples have many options and as much power as they want; they just need to exercise it. It is your responsibility to become educated so that you can make informed decisions that will help you achieve your birthing goals. Secret #2: Doctors, nurses and midwives are just people like you and me; people who are taking care of their own agendas, and trying to do what they feel is best to have a good outcome for you and your baby with as little risk as possible for everyone, including themselves. They have special training, but not special powers. So if we as consumers will look at them as people, we will have a much easier time of interacting with them if they begin to manage childbirth differently than what we have expressed we want. • Fear of repercussion from hospitals where they have privileges, if they don’t adhere to routine protocols which were constructed to protect the hospitals from liability, etc. Realizing that prenatal care providers are simply people like you, who have their own personal and professional agendas that may not coincide with yours at all times, will help you to be more confident about your own birthing plans. This helps you become stronger in your convictions and to adhere to them in the absence of complications. This also ensures your Hypnobabies birth will be much smoother and more satisfying to you. There are medical (legal) protocols that dictate how obstetricians may practice within that hospital setting which dictate how your obstetrician manages your care. Common birthing procedures (which are optional) may be presented as “mandatory policies” by hospital staff. This means that ALL choices are still yours to make, and you can choose to enforce all of your preferences in the absence of complications. You might also choose to be more flexible with your original birthing plans to avoid conflict if that makes sense to you at the time. Ask for all the information you need to make an informed decision. Remember, it is always your choice whether to consent or to refuse any procedure or intervention suggested. Trust your instincts, and know that whatever decisions and choices you make are the right ones for you and your baby. You may want to consider doing some research into midwifery care, birth centers, and home birthing which have all been proven to be safe and healthy options for an easier and more satisfying childbirth experience. The midwifery model of care is mother-centered, which means more time is spent during prenatal visits discussing natural birth options and offering emotional support. It is also important to note that all of the countries with maternal and infant mortality rates lower than those in the US have midwives attending the majority of low risk births. Mary K.: Before our Hypnobabies course, it never occurred to me that I could decline services! It saved so much stress for me at my prenatal appointments; they never checked to see how far I was dilated because I declined every time. I saw other friends who were pregnant return from their appointments with numbers to dwell on, but I was calm and peaceful knowing my daughter would arrive when it was her time! Sarah V.: Hypnobabies gently led us to a low intervention birth. One of the ways this was possible was through creating birth preferences which provided the opportunity for my birth partner and I to discuss and consider each step of the birth. I’ve shared our birth preferences with many interested women and couples. Crystal D.: Hypnobabies provides an amazing depth of knowledge and information so you can make truly informed decisions about your care during pregnancy and when you are birthing. Having this information enabled us to have the completely hands-off, intervention-free birth that we had dreamed of. Jenny B.: Putting my birth preferences down on paper helped me to see more clearly how confident I was about the choices I was making. Everything was so very clearly stated and reasonable that I knew my care providers would not have a problem supporting me! They didn’t! Megan M.: I know that having the amazing births I had was in part because I knew how to talk with my care providers. I was able to make good choices and communicate what I wanted, and I felt confident doing so because I had the information and knowledge to back up my choices. Amber D.: The education I learned in Hypnobabies was incredible. If I hadn’t learned that the saline lock was unnecessary in most cases, then I would have left the hospital weighing more than when I went in just like my non-Hypnobabies friend did. She was so swollen because of the saline… and for no reason! Hypnobabies taught me to take ownership of my baby’s birth. And that has empowered me to be more confident in trusting my instincts when it comes to raising my child. Amanda S.: Hypnobabies helped me to realize that vaginal exams at the end of pregnancy tell us nothing, and can actually cause discouragement and frustration. It is not worth it! With my second daughter, I was thrilled to learn at 36 weeks, that I was 3cm and 80% effaced. I left my appointment thinking I would be having a baby that weekend. The following week I was 4cm. The weeks kept passing. Finally…my daughter was born two days shy of 40 weeks. Had I not had that vaginal exam, I would have saved myself a great deal of discouragement, and asking, “Why is she not here?” For my third daughter, I skipped all vaginal exams until I was over 41 weeks. It was then I learned that I was not dilated at all. I didn’t let myself feel discouraged. I simply told the doctor, “That’s ok, we both know it tells us nothing. Women do not give birth by numbers”. I had my daughter less than 48 hours later. Tracy G.: I loved how Hypnobabies worked on empowering the mother to not be a passive bystander in their birth but an active participant. I of course would and wanted input from the medical professionals who cared for me but I also felt empowered to give educated opinions on the different options and make my own choices. Copyright © 2012 – 2017 Hypnobabies LLC, All Rights Reserved – No Copying, Reprinting, Re-posting or Distribution Allowed. If you like our post, please link to it!